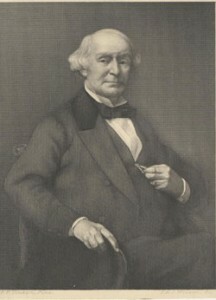 George Edward Ellis. Courtesy of Andover-Harvard Theological Library, Harvard Divinity School. Of the distinguished Unitarian ministers of the last century, no one was earlier recognized for his intellectual abilities than George E. Ellis. Nor was there any one of his contemporaries who maintained his intellectual life with greater vigor and productivity through a stretch of eighty years. Born in Boston August 8, 1814, and dying in that city December 20, 1894, his life covered four-fifths of a century which was marked by more powerful changes in the realm of thought and action than any century in the history of the world. He lived through the most absorbing period of the Unitarian controversy, and became its historian. He saw the rise and decline of the Transcendental movement and the dawn of a new philosophy of evolution radiant with promise. The basis of theological discussion was shifted from a controversy about the Trinity to a readjustment of the relations between science and religion. He watched with keen interest the phases of the Andover controversy, the rise of the new theology in orthodoxy and the higher criticism in Biblical interpretation. He saw his classmate Theodore Parker battling with slavery, and outlived by many years the consummation which Parker did not see—the downfall of the slave power and a reunited country. He personally witnessed the coronation of Queen Victoria, and survived momentous political changes on the continent of Europe. He saw the marvelous development of our own country, the growth of the new philanthropy and the new sociology, the new music, and the “new woman,” the impulse to mechanical invention, the development of railroads and telegraphs, the telephone and the electric light and the electric car. And yet, though powerfully influenced in his later years by these changes in the world of thought and action, Dr. Ellis was not a factor even to a small extent in any of them. He was not a maker of history, but a student in a limited circle of historical facts. He could see his classmate Parker battling against slavery, but he was not impelled to lend a hand in this or in any other reform. His lack of interest in the fruitful efforts of another classmate, John S. Dwight, to draw New England out of the ruts of the old psalmody into a richer musical life, is more easily explained; for he had no ear for music, and once told the writer, after poking fun at his old friend Robert C. Winthrop for going to a symphony concert, that he was glad he had no ear for music, since it might have diverted him from his one absorbing occupation of historical research. He lacked also an appreciation of poetry or art, and was doubtless equally grateful for this limitation. After his graduation at the Divinity School he spent two years traveling in Europe, and a part of this time accompanied Dr. Lowell, the father of James Russell Lowell. He often related with amusement Dr. Lowell’s anxiety lest his son James, just graduated from Harvard, should not amount to anything because he would persist in writing poetry. The probability is that Dr. Ellis sympathized with the paternal view. He lived in the world of fact rather than the world of imagination. His life from start to finish had few turning-posts. He was graduated at Harvard College in 1833, and from the Divinity School in 1836. After his two years abroad he was ordained March 18, 1840, as pastor of the Harvard Church, Charlestown, Massachusetts, where he remained for nearly thirty years, resigning in 1869. He then moved to Marlborough Street, Boston, where he lived until the close of his days a life of ease and independence, but yet marked by marvelous literary industry. His eighty years may thus be divided into three nearly equal periods, a period of preparation of twenty-six years, a pastorate of twenty-nine years, and twenty-five years of subsequent literary activity. But at the very time he entered the ministry he formed another alliance which brought him what he regarded as the greatest distinction of his life, the presidency of the Massachusetts Historical Society, an office he held at the time of his death. He left to that society the larger part of his fortune. He was also an active member of the American Antiquarian Society. He maintained all his life an intimate relation with Harvard College. He was professor of Systematic Theology in Harvard Divinity School from 1857 to 1863, and served for several years on the Board of Overseers. He received from the college the degree of D.D. in 1857 and LL.D. in 1883. Though he had a long list of honorary titles from learned societies, he preferred to omit them from the title-pages of his books, and his will directed that his name and date of birth and death should be chiseled on the back of his tombstone without titles. All our religious believings need only enlargement, freer range, fuller compass, to fit them to the demands of our restless and inquisitive minds… Whoever, in these days, offers to men and women, on any religious theme or truth, a stinted, puerile, or contracted creed, or a forced or morbid adaptation of piety to the mere traditionalisms of faith and reverence, sadly limits the free and bracing atmosphere of devotion which fills the whole infinite reaches of space around us and above us.” But, while he passed away from the limitations of the old faith, he did not come into the glory and inspiration of the new. His greatest delight in what he happily called “the Indian summer” of his life was in pouring forth a stream of anecdote and reminiscence to appreciative friends from the stores of his ample memory and his wide personal experience. His successor in the chair of the Massachusetts Historical Society rightly described him as an antiquarian rather than historian.